I started the month with my newest dress - a self drafted bodice with a Lilou skirt. 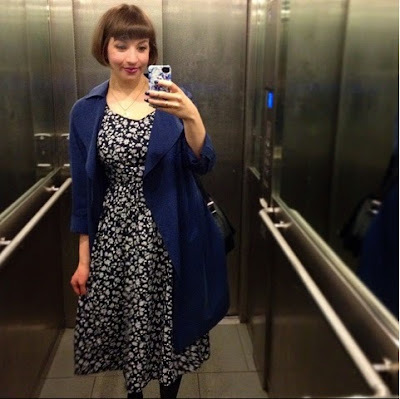 The weather wasn't quite as summery as my dress, so I layered it over a 3/4 sleeved top. 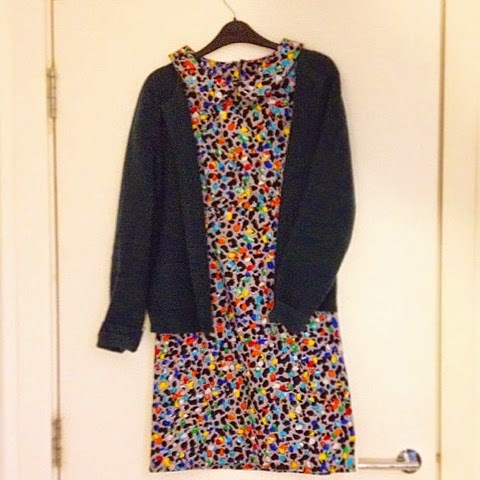 I went to an all day city music Festival on the 2nd and wore my Liberty print self drafted dress with a jacket from Marks and Spencers. Sorry for the terrible grainy picture! 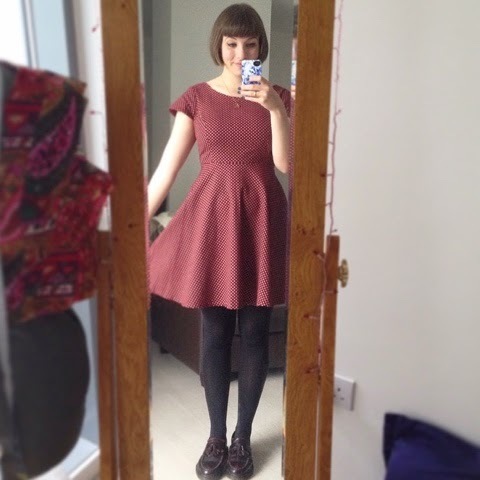 You can see this Megan dress with self drafted collar in full colour/quality here! 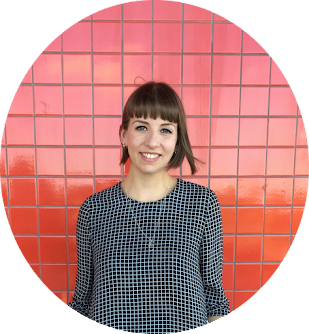 I wore it with a dark green wool cardigan from Uniqlo. 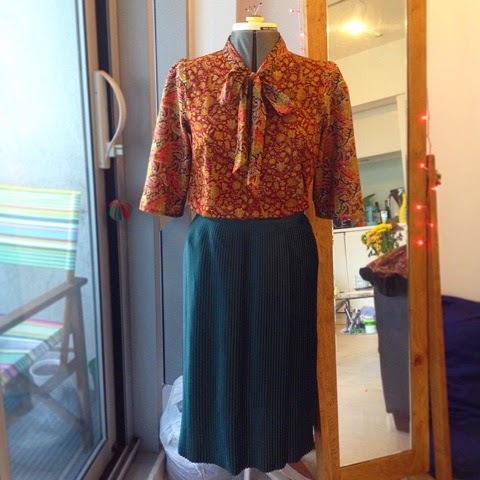 My Simple Sew Lottie blouse came out for day 4, worn with my favourite skirt (unfortunately not made by me) from &otherstories - in my opinion, the BEST high street store. I dug out one of my earlier makes - the full skirted dress from the second GBSB book for day 5. It's been stuck in the back of my wardrobe for an age because I was convinced the fit was off, but it wasn't nearly as bad as I thought! 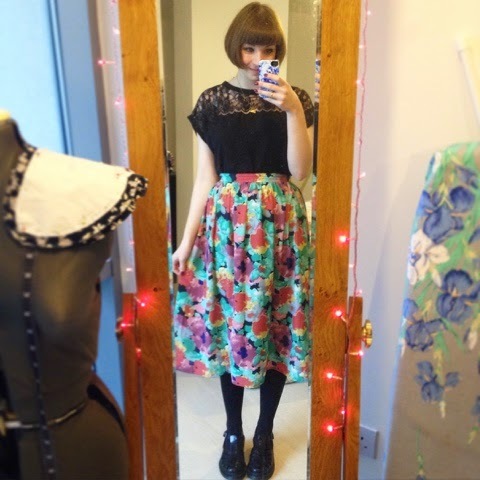 I quite enjoyed wearing this one again. An old picture, but I wore exactly this (with a cardigan) on day 6 - a self drafted gathered skirt and H&M blouse. 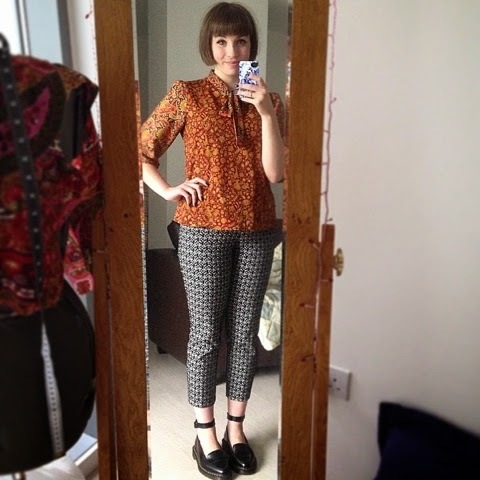 And an early repeat wear, but I really love this version of the Lottie blouse (worn here with some very jazzy Topshop trousers).